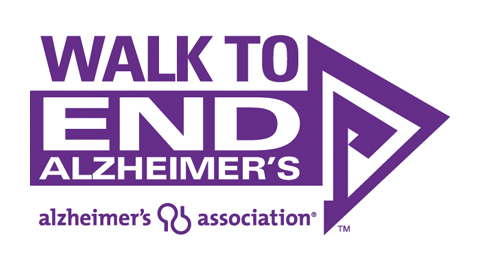 Join the Tulsa Drillers for the Walk to End Alzheimer’s Night presented by Montereau and Tulsa’s Channel 8 as they partner to Strike Out Alzheimer’s in World Record fashion on Saturday, May 25! Be a part of history as the Drillers attempt to throw out more than 12,000 first pitches before the Drillers game at ONEOK Field. Fans can take part in this record-breaking occasion by heading to ONEOK Field on Saturday, May 25 between the hours of midnight and 5:00pm. Fans of all ages are invited to participate, but adult supervision is encouraged for children under 18. The suggested donation per pitch is $1, but a donation is not required to participate. There is no limit on number of pitches a participant can throw. Fans wanting to be a part of the record attempt can enter ONEOK Field through the Arvest Entrance at the corner of Brady St. and Elgin Ave.
Those who cannot attend are invited to pitch virtually. For every dollar donated online, a pitch will be thrown out by a volunteer at the field. Donations can be made by visiting www.StrikeOutALZ.org. Money raised during Strike Out ALZ and the Walk to End Alzheimer’s Night will fund Alzheimer’s care, support and research. For more information, visit www.StrikeOutALZ.org. To complete the day of baseball activities, the Tulsa Drillers will wear special edition purple jerseys as they take on the Frisco Roughriders at 7 p.m. during the Walk to End Alzheimer’s Night presented by Montereau and KTUL. Spectators are invited to join the Drillers by wearing purple to help raise awareness of Alzheimer’s disease, the sixth leading cause of death in the United States. The limited edition purple jerseys will be sold during a silent auction that will take place through the eighth inning outside Black Gold Outfitters. Walk to End Alzheimer’s merchandise, event sign up information and Alzheimer’s educational material will also be available. About the Walk to End Alzheimer’s: The Alzheimer’s Association Walk to End Alzheimer’s is the nation’s largest event to raise awareness and funds for Alzheimer’s care, support and research. 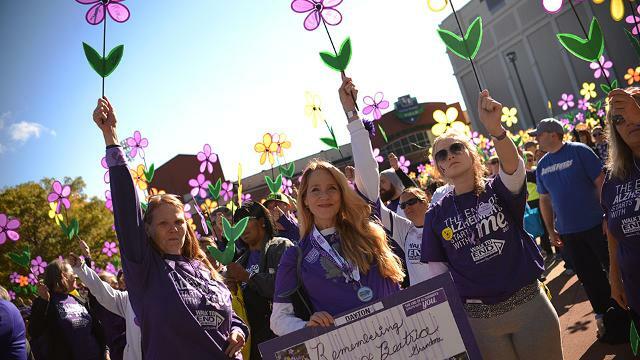 Since 1989, the Alzheimer’s Association mobilized millions of Americans in the Alzheimer’s Memory Walk®; now the Alzheimer’s Association is continuing to lead the way with Walk to End Alzheimer’s. 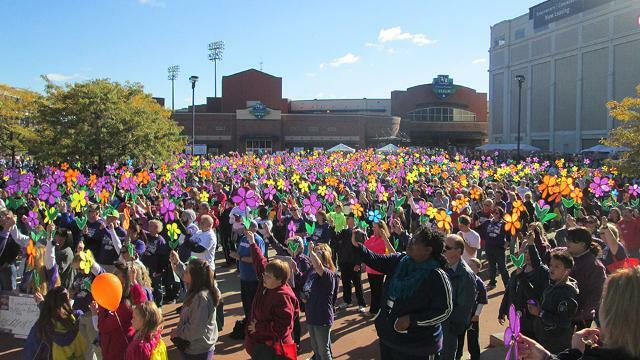 Together, we can end Alzheimer’s – the nation’s sixth-leading cause of death. For more information, or to form a team, visit www.tulsawalk.org. This article originally appeared on the official website of the Tulsa Drillers. Click here to view the original story.